This patented right product gained acclaim from buyers and peer industry, also making it the beginning of our ODM service. We insist on the principle of development of high quality and all-rounded cooperation to customers. We are holding innovation inception and attitude towards coming future and are ready to establish long term cooperation with you. 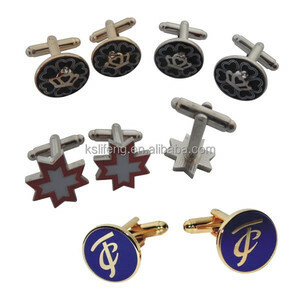 Factory custom gold enamel star luxury cufflinks for men Item Factory custom gold enamel star luxury cufflinks for men Material Zinc alloy / iron / brass / aluminum / stainless iron / copper etc. ) Plating Gold / silver / nickel / brass / copper / antique plating / misty plating / daul plating etc. Technique Die-stamped / die-casting / engraved / laser / etching Painting Soft enamel / imitated hard enamel / offset printing Design Custom ized design is welcome Color Pantone No. Th i s i tem i s elegant w i th f i rst class qual i ty,graceful color. * Color: available in many colors, gold,silver,antique,rhodium,or make color as your sample. Our department: production ,development, quality control,sales ,aftersale-service. 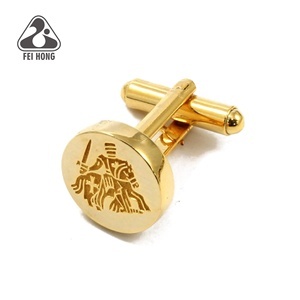 Item cufflinks OEM / ODM Yes and Welcome Desigh 2D/ 3D; 1 side logo / 2 sides logo Material Iron / Brass / Copper / Zinc alloy etc. Process Stamped / Die casting Shape square / rectangle / roundness etc. - Packing: Each in a polybag or according to customer's requirement - Delivery Lead time: 7-10 days - Customer logo is available. 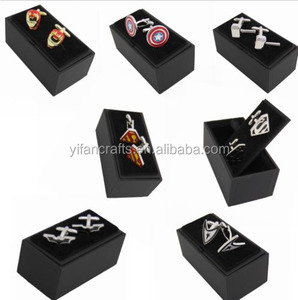 Alibaba.com offers 42,549 cufflinks products. About 70% of these are cuff links & tie clips, 13% are stainless steel jewelry, and 10% are zinc alloy jewelry. 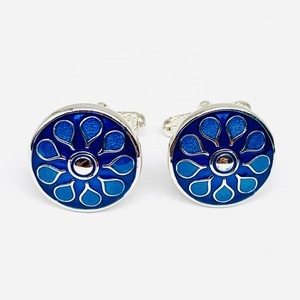 A wide variety of cufflinks options are available to you, such as alloy, stainless steel, and gold. You can also choose from men's, unisex. As well as from 925 sterling silver, tin alloy. 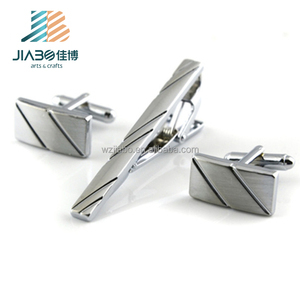 And whether cufflinks is anniversary, wedding, or gift. 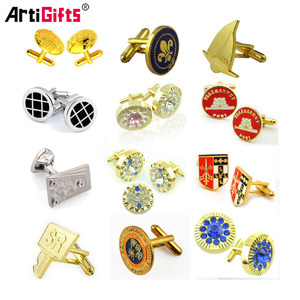 There are 41,579 cufflinks suppliers, mainly located in Asia. 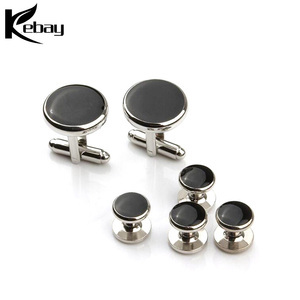 The top supplying countries are China (Mainland), India, and Turkey, which supply 94%, 1%, and 1% of cufflinks respectively. 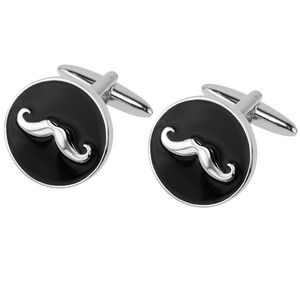 Cufflinks products are most popular in North America, Western Europe, and South America. You can ensure product safety by selecting from certified suppliers, including 4,885 with Other, 2,376 with ISO9001, and 543 with ISO14001 certification.